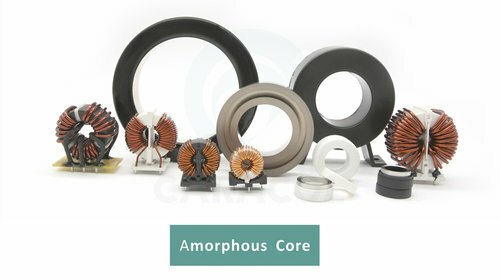 Ferrite Core – Ferrites that are used in transformer or electromagnetic cores contain nickel, zinc, and/or manganese compounds. 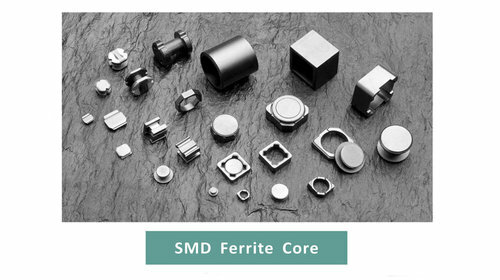 They have a low coercivity and are called soft ferrites. 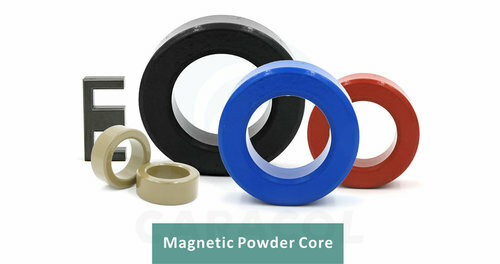 The low coercivity means the material’s magnetization can easily reverse direction without dissipating much energy (hysteresis losses), while the material’s high resistivity prevents eddy currents in the core, another source of energy loss. 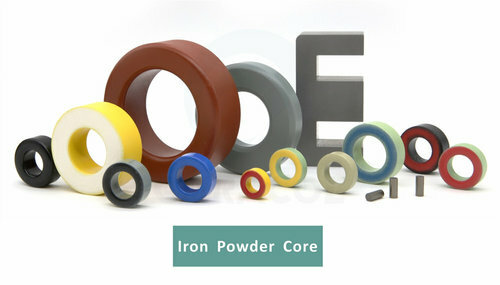 Because of their comparatively low losses at high frequencies, they are extensively used in the cores of RF transformers and inductors in applications such as switched-mode power supplies and loopstick antennas used in AM radios. 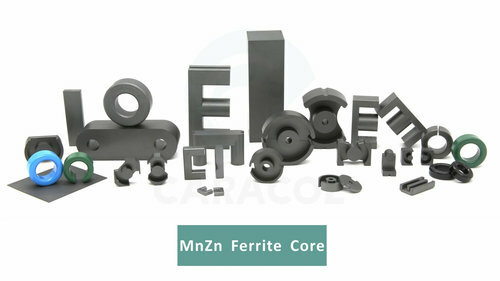 The most common soft ferrites are: MnZn ferrite (Manganese-zinc ferrite). MnZn have higher permeability and saturation induction than NiZn. 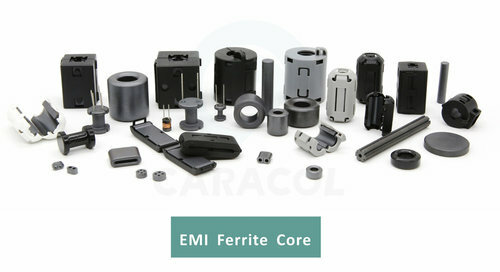 NiZn ferrite (Nickel-zinc ferrite). NiZn ferrites exhibit higher resistivity than MnZn, and are therefore more suitable for frequencies above 1 MHz. For applications below 5 MHz, MnZn ferrites are used; above that, NiZn is the usual choice. The exception is with common mode inductors, where the threshold of choice is at 70 MHz.